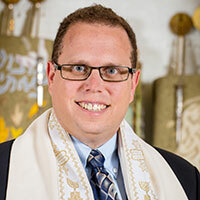 Rabbi Daniel Plotkin wrote a recent column for T’ruah: the Rabbinic Call for Human Rights, that looks at the stories of Joseph and Tamar. Great read on Parshat Vayeshev. In Andrew Lloyd Weber’s telling of the Joseph tale from Genesis, Joseph and the Amazing Technicolor Dreamcoat, one of the biggest laugh lines comes when Joseph, sexually pursued by the wife of his master Potiphar, yells out “I don’t believe in free love!” After this, in both Weber’s telling and the biblical account, Potiphar’s wife accuses Joseph of trying to assault her and Joseph goes from being the favored slave of Potiphar to an apparent lifetime in prison.